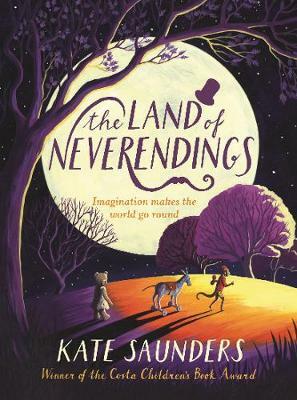 Witty, tender and full of insights into life love and politics, this is a brilliant book in its own right as well as a worthy tribute to E. Nesbit’s classic Five Children and It. The year is 1914. 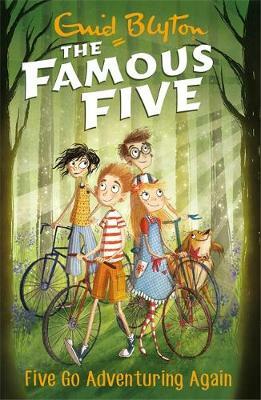 Anthea, Robert, Jane and Cyril, who has just enlisted, are now grown up, the Lamb is a schoolboy and even Edie, an addition to the family since the original, is old enough to meet the extraordinary and magical Psammead when he re-enters their life. 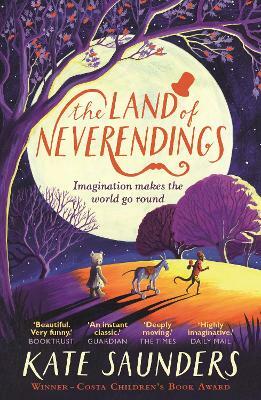 All the children are longing for some new adventures but has the Psammead still got his magical powers? As befits the serious times, the Psammead plays an invaluable role in helping the family understand the First World War while also sorting out problems from his own past. 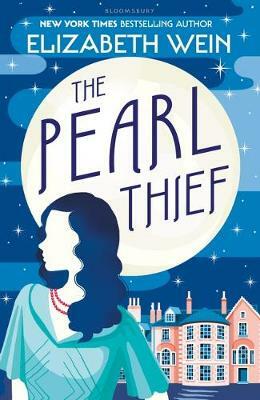 Action-packed, funny and thoughtful this is a book to fall in love with. 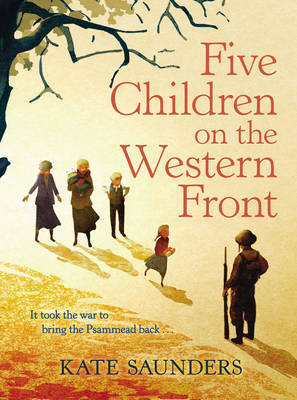 Although Kate Saunders' novel takes its inspiration from E Nesbit's Five Children and It, Five Children on the Western Front is an entirely stand alone novel and there is no need to have read the original classic. 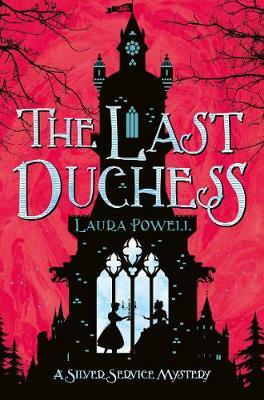 One of our Books of the Year 2014 - October 2014 Book of the Month. 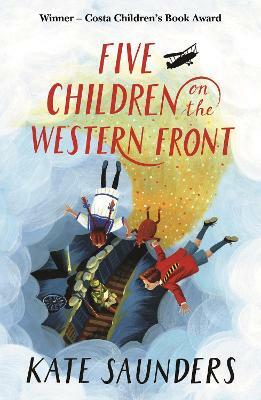 An incredible, heart-wrenching sequel to E. Nesbit's Five Children and It, set on the eve of the First World War. 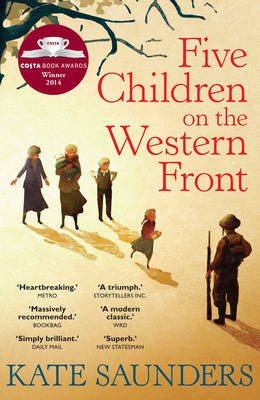 The five children have grown up - war will change their lives for ever. Cyril is off to fight, Anthea is at art college, Robert is a Cambridge scholar and Jane is at high school. The Lamb is the grown up age of 11, and he has a little sister, Edith, in tow. The sand fairy has become a creature of stories ... until he suddenly reappears. The siblings are pleased to have something to take their minds off the war, but this time the Psammead is here for a reason, and his magic might have a more serious purpose. Before this last adventure ends, all will be changed, and the two younger children will have seen the Great War from every possible viewpoint - factory-workers, soldiers and sailors, nurses and the people left at home, and the war's impact will be felt right at the heart of their family. 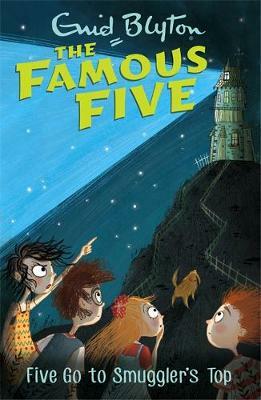 Winner of the Costa Children's Book Award 2014. 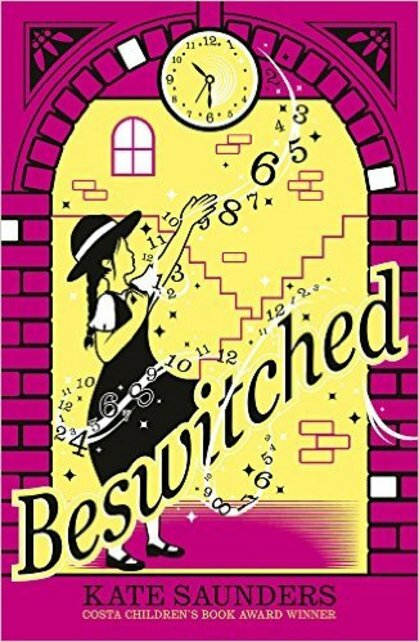 Kate Saunders is the author of Magicalamity and Beswitched and many other books for adults and children. She is also an actress and a journalist. She has written for the Sunday Times, Sunday Express, Daily Telegraph and Cosmopolitan, and has contributed to Radio 4's Woman's Hour, Start the Week and Kaleidoscope. She lives in London.